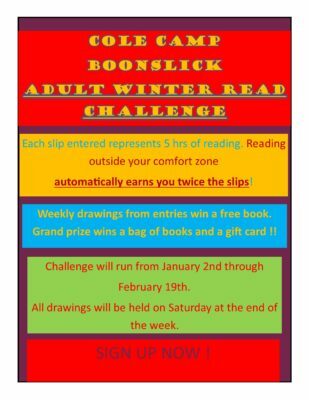 Cole Camp’s Adult Winter Read Challenge is in full swing. Weekly Drawings, Free Books, and a Grand Prize Drawing! This year we’ve added a Bonus : If you read Outside of your Comfort Zone you get Double the Chances in the Drawings! Next story Virtual Reality has made it to Boonslick !